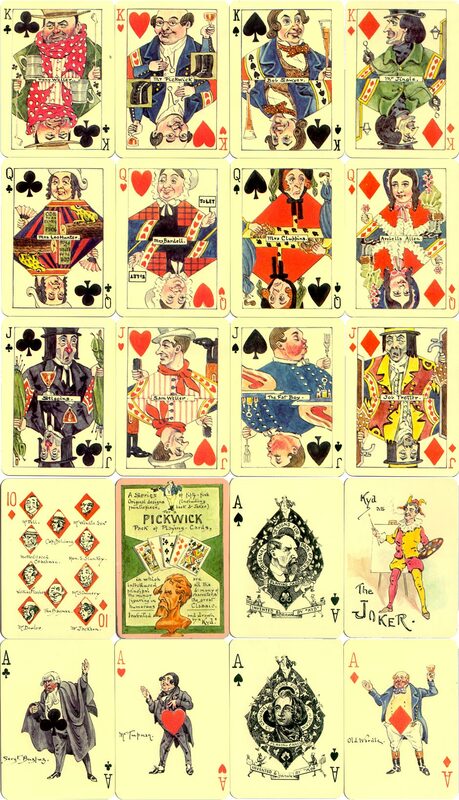 A series of fifty-five original designs (including frontispiece, back and Joker) for a Pickwick pack of playing cards, in which are introduced all the principal & many of the minor characters figuring in the great humorous classic. Joseph Clayton Clark (1856-1937) worked as a freelance artist with a particular affection for Dickens, his Dickens illustrations first appearing in 1887 in Fleet Street Magazine. Kyd earned his living from watercolour sketches, mainly of Dickens' characters, which he sold through the London book trade. 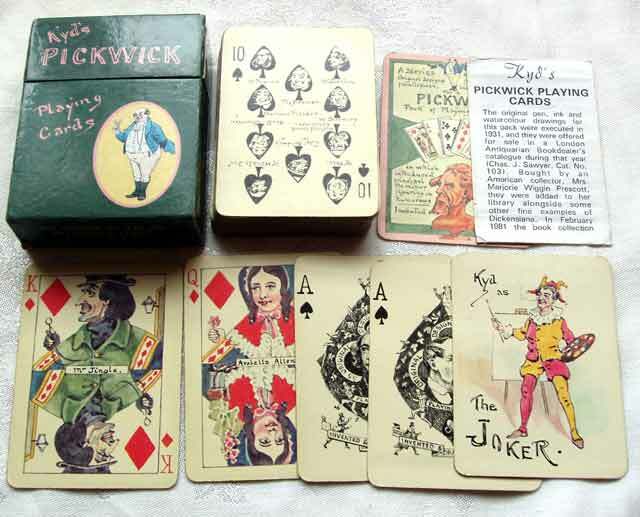 The drawings in this set were originally produced by Kyd in 1931 and acquired by a private collector. 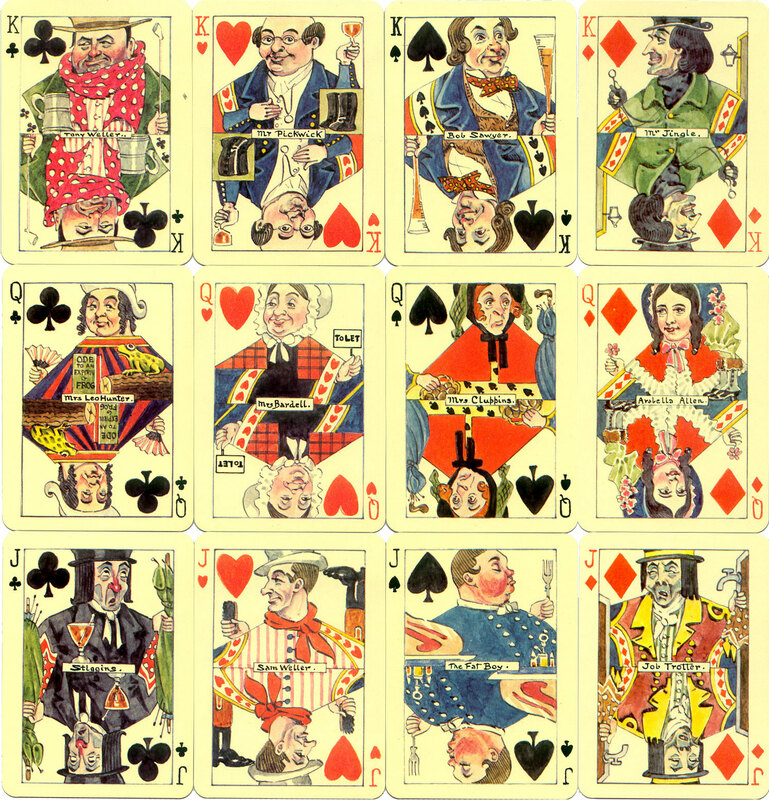 They were first published as a deck of playing cards in 1982 by the Navarre Society. 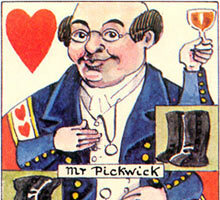 Above: Pickwick Playing Cards invented and drawn by ‘Kyd’, published by U.S. Games Systems under license from the Navarre Society, 1984. Images courtesy Barney Townshend.